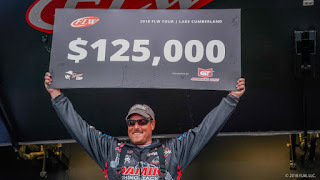 IBASSIN: Bryan Thrift Wins 2018 FLW Tour Lake Cumberland with 70-02lbs! Bryan Thrift Wins 2018 FLW Tour Lake Cumberland with 70-02lbs! Smallmouth and swimbaits make Thrift a champion. So long as Bryan Thrift fishes the FLW Tour, for anyone else, winning a tournament will never come easy. Winning means beating Bryan Thrift. Beating Bryan Thrift is a feat. The Shelby, N.C., pro proved once again that if he’s in the hunt on the weekend, he’s not going to have a bad day. He’s purely lethal. Today, Thrift put the finishing touches on his sixth FLW Tour victory and his 10th FLW win overall. This one came on a cold, rainy, miserable day in central Kentucky at Lake Cumberland for stop No. 4 of the 2018 Tour. The tournament was presented by General Tire, and Thrift won with a 70-pound, 2-ounce total and pocketed $125,200 for his efforts. Thrift squashed an impressive run by 2017 The Bass Federation National Champion Allen Boyd, who gave one of the tournament’s best performances, catching 18 pounds, 2 ounces of largemouths despite losing a couple of hours this morning to a mechanical issue. Boyd charged ahead hard, but he couldn’t keep pace with Thrift, whose 18-10 stringer gave him a four-day margin of victory of 1 pound, 10 ounces. Surely, if there’s a conversation about who’s the best bass angler alive right now, Thrift deserves consideration. Andy Morgan, another of bass fishing’s best, said on stage today in Somerset that he thinks Thrift is the best there is. There couldn’t be a much better commendation than that. “Who’s the best?” is a fun debate, but the facts are what matter now. Thrift closed out the tournament with his fourth consecutive stringer of Cumberland smallmouths. He weighed in 15-9 on day one, improved the following two days with 17-4 and 18-11, and finished with 18-10. In the middle, Lake Cumberland delivered several obstacles that the pros had to deal with. The lake level consistently fell days one through three, but it actually crept up today. Days one and two were sunny, warm and windy. The wind stuck around on day three, but heavy rains fell throughout the middle part of the day and early afternoon. 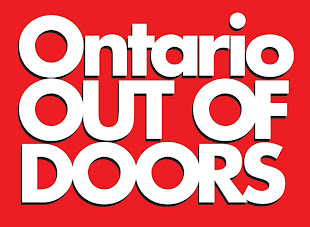 Temperatures remained mild overnight last night, but a gradual cool-down accompanied by drenching rains in the morning and a constant drizzle this afternoon chilled the top 10 anglers to the bone. Thrift’s pattern never changed despite the fluctuating conditions. The only real adjustment he made was to switch swimbaits, from a 3-inch Damiki Armor Shad to a Keitech Swing Impact FAT 3.8. He fished both on 1/8- and 3/8-ounce jigheads. Thrift paired the swimbaits with 8-pound-test P-Line Tactical Fluorocarbon, a 7-foot, medium-heavy Fitzgerald Fishing Stunner HDrod, and an Abu Garcia Revo baitcasting reel. The battle between largemouths and smallmouths was surprisingly even this week. Usually, one species handily outshines the other on mixed-bag fisheries. Cumberland produced an even mix, as both species were staging to spawn or starting to do the deed. Boyd targeted largemouths that progressively moved shallower over the course of four days. Thrift considered the largemouth pattern, but settled on smallmouths for one understandable reason. “I couldn’t catch largemouths,” he says. Fifteen of Thrift’s 20 bass brought to weigh-in came from Indian Creek, a large tributary on Cumberland’s lower end. He fished points, bluffs, lead-in banks and even outside the mouth of the creek. Today, Thrift also worked a little bit farther into pockets. Committing to this home area was more important than any particular pattern. For the most part he positioned his Ranger out off the bank and bombed casts right up to the shoreline. Occasionally he moved in tighter and fished more parallel to the bank. Very slowly winding the swimbait back out was key to keeping the bait down 5 to 12 feet deep. Some of his fish were suspended, but Thrift believes others might have been on the bottom but were willing to come up to eat the bait. Some bit very close to the bank in shallower water. Yesterday, Thrift was worried that he might have worked over his area too hard and caught every smallmouth there that was worth catching. But he went back again today because it was “all he had” and put together a solid morning. An afternoon 5-pounder caught in his secondary spot in the mid-lake area sealed the win. Slower, maybe, but catching 18-10 was still an impressive way to punctuate the victory. He was the only pro to weigh in more than 17 pounds three times, and he won because he was consistently good; consistently the best. In other words, Bryan Thrift.